Specifically designed for dentists who want turnkey online dental marketing campaigns that deliver results, Internet Dental Alliance, Inc. (IDA) now offers complete lead generation plans that can be launched in less than 10 minutes. 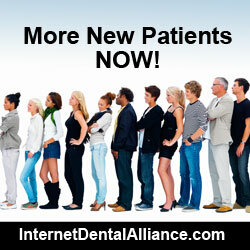 At the heart of the IDA New Patient Marketing Machine™ are its customizable dentist websites (Portals). They feature IDA’s cutting –edge LeadFire technology that automates search engine optimization (SEO), making it easy for dentists to launch Portals that attract their ideal patients within minutes. IDA’s LeadFire content publishing system builds and optimizes customized Portals based on each practice’s dental marketing strategy. Doctors are in full control of which geographical locations and which types of patients they want their online dental marketing campaigns to reach. By using more than one Portal, doctors can generate leads specifically for the services they want their practice to provide, based on their clinical skills. Each IDA New Patient Portal is designed to generate leads for one Primary Dental Market– the main type of patients doctors want their practice to attract. IDA maintains a library of customizable articles based on the most popular and profitable dental services, such as Invisalign© braces, cosmetic dentistry, wisdom teeth, dental implants, dentures, root canal therapy, anxiety free dentistry, etc. IDA’s unique LeadFire technology can create up to 200 unique web pages within minutes. This proprietary program lets dentists launch their dental websites within minutes, and optimize them for local search based on the dental office’s city, state, Zip Code, neighborhood and surrounding areas.